Autumn is in the air. You can feel the cool fall breeze when you see the sweet little song bird hidden amidst the fall foliage of red, orange, brown and green on a tan background. 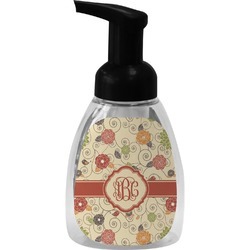 This fall flower design has chrysanthemums, asters, roses and beautiful set amongst swirls and curls. 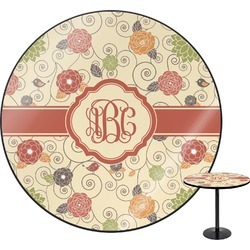 The design has a classic ribbon with a decorative circle frame in a beautiful fall color of orange brown. 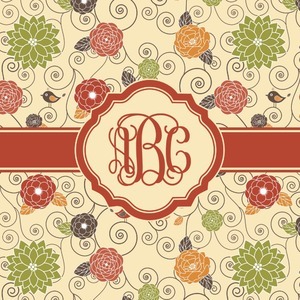 The personalization is an interlocking monogram, but can just as easily be a name, an initial or any text that you would like.